This story was originally published on KUNR Reno Public Radio. Inside a client’s home kitchen, Gustavo Velasco Jara chops vegetables into small, square pieces and cooks them on a sizzling pan. He’s preparing for a birthday party dinner, making shrimp and tofu lettuce wraps while the Asian style pork ribs cook on the grill outside. Velasco Jara smiles as he works. 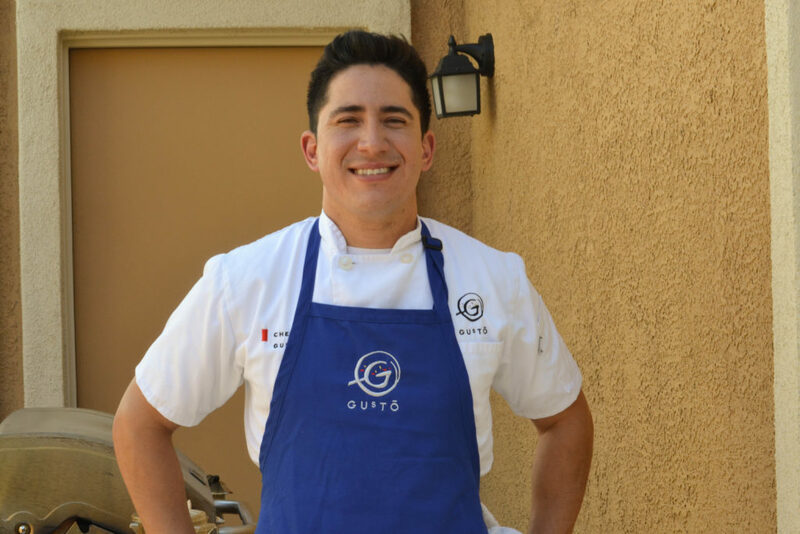 Gustavo Velasco Jara, 33, opened his business Gustō Catering & Meals over a year ago. About a year and a half a go, Velasco Jara opened his business, Gustō Catering & Meals, a company he operates on his own. 33-year-old Velasco Jara is among the eight percent of DACA recipients over the age of 25 who are entrepreneurs and employers, according to a February report by the Democratic members of the House Committee on Small Business. Velasco Jara marinates Asian style pork ribs for a client’s party. Velasco Jara was born in Tepic, Nayarit, México and as a kid would travel to California with a passport and visa to visit family and go to Disneyland. He moved to the United States with his mom when he was 14. 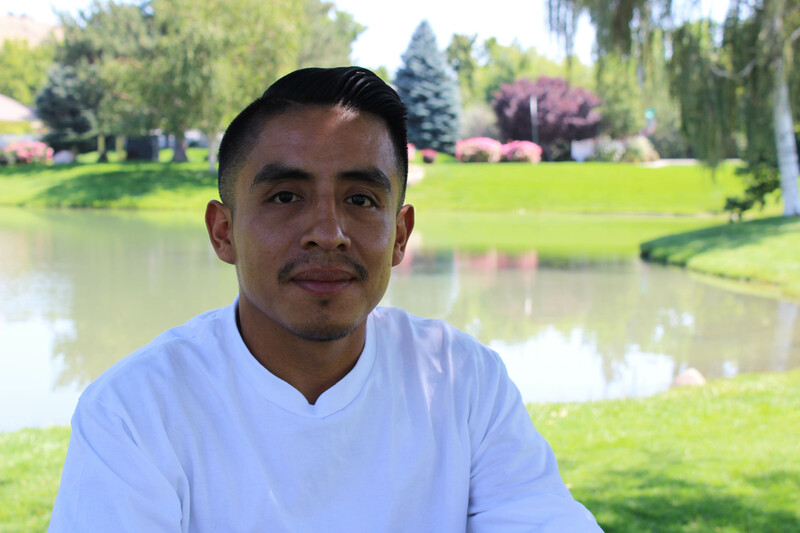 Carlos Flores is a DACA recipient who also moved to Reno when he was 14 years old from Cuernavaca, Morelos, México. “Siempre me atrajo más la idea de estar afuera, trabajando en la naturaleza, tener más libertad, y está hablando con las clientes. Y me sentí más libre,” dijo Flores. Flores, now 27, opened his own property maintenance business last year. 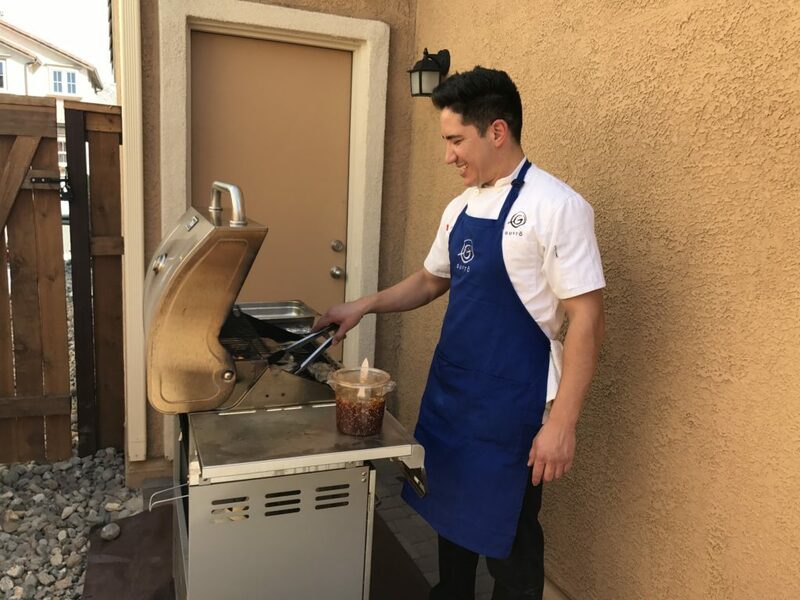 He has four employees and more than 100 customers in the Caughlin Ranch area. Carlos Flores, 27, owns a landscaping business with more than 100 customers in the Caughlin Ranch area. “Estaba un poquito preocupado después que dijeron que la noticia de DACA iba terminar porque a lo mejor puede dar posibilidades que a lo mejor tengo que detener mi negocio o algo parecido”, dijo Flores. “Pero pues no sé lo que va hacer el presidente, pero mientras que no digan nada o hagan nada, pues yo voy a seguir mi negocio como va hasta ahorita, abierto. Y mientras que no me detengan, lo voy a continuar”. For undocumented individuals like Flores and Velasco Jara, they said DACA has given them the chance to build a life. Más que un estatus de DACA y que me ha ayudado a trabajar, ha sido más como un estatus de libertad porque en mi trabajo me ha ayudado como a, involucrarme más en los negocios y ya no tuve ese temor de que hubiera pasado algo”, dijo Flores. Velasco Jara also said the program has changed for the better. “I guess it gave me the chance to forget about — to stop worrying about my status and focus on my life. That’s what it really did. 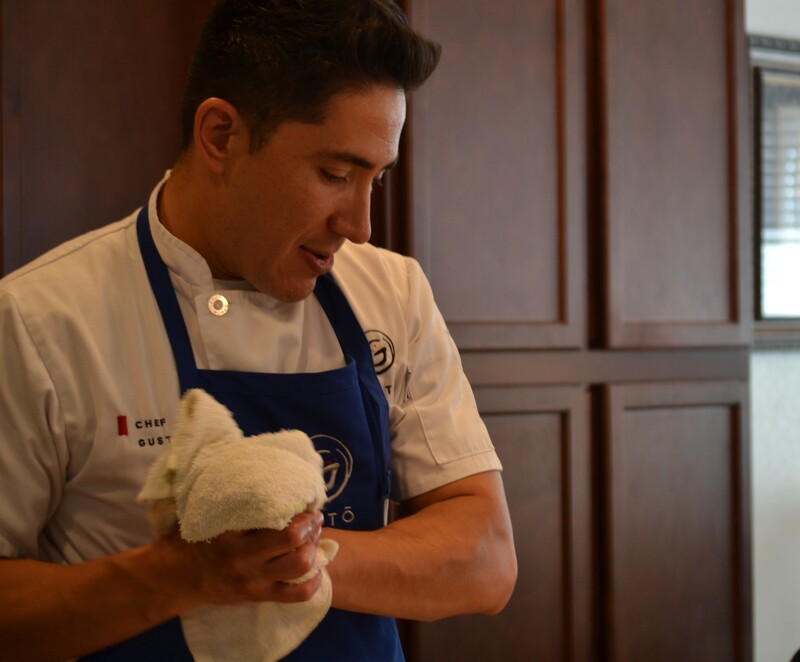 It took stress off and then I could focus on me growing,” said Gustavo. According to a February NPR poll, 65 percent of Americans support giving DACA recipients legal status- including 81 percent of Democrats, 51 percent of Republicans, and 66 percent of independents. State Assemblyman Edgar Flores of Las Vegas explained a common misconception is that DACA provides a path to citizenship, when he said it’s basically just a work permit. “They’re abiding by all the rules that are put in front of them, and yet they live in the constant instability of what’s gonna happen tomorrow,” said Assemblyman Flores. 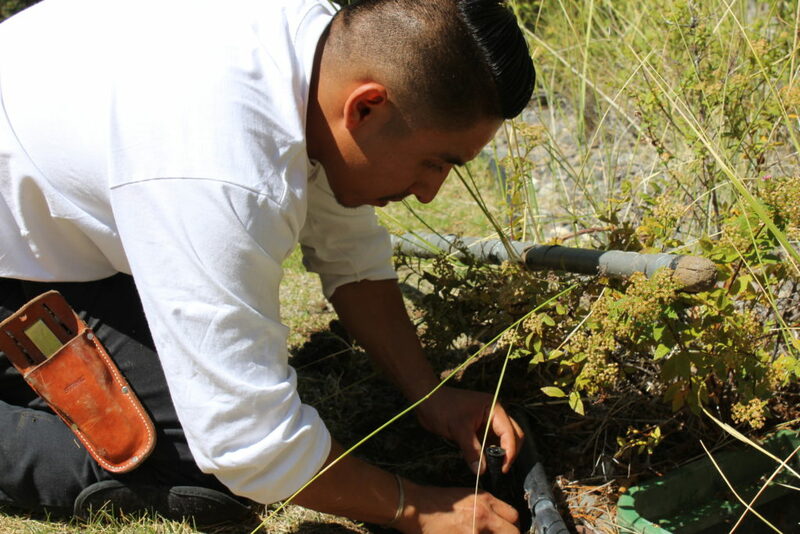 Flores fixes a sprinkler at a customer’s home. Assemblyman Edgar Flores said that DACA recipients should always be prepared for the possibility of being deported and recommends setting up a power of attorney. It’s something Carlos Flores said he’s thought about. “Estoy preparado por si algo pasa por DACA. Tengo una seguranza que podría cubrir los costos de salarios, equipo de trabajo y cosas que sí tengan que pagar, a través de la seguranza. Pues ya estoy preparada por si algo pasa”, dijo Flores. For Velasco Jara, there’s nothing he can do but to wait knowing the program can end at any time. In the meantime, the roughly 700,000 DACA recipients will have to continue living in the two-year increments their status provides until a decision is made. Flores renewed his paperwork last November, while Velasco Jara did his for the fourth time last month.